This includes securing all legal documents and permits relating to a death, local removal of human remains, refrigeration, cardboard cremation container, and crematory fee. 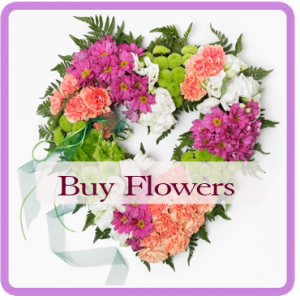 Also includes arrangements made Monday thru Friday during business hours. This package is an immediate need, cash or check only. If a credit card is used as form of payment, we reserve the right to charge a processing fee, not to exceed 5%. *Saturday arrangements will incur a $250 overtime charge, and *Sunday arrangements will incur a $500 overtime charge. Other service charges may apply. This includes a basic service fee, local removal, refrigeration, cardboard cremation container, crematory fee, and a one-time only, private family-only view prior to cremation. This fee also includes availability to our grief counselor as needed. Other service charges may apply. 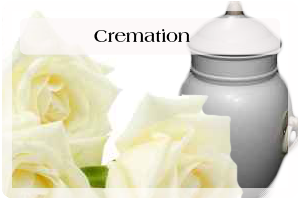 This includes a basic service fee, local removal, refrigeration, cardboard cremation container, crematory fee, a one-time only, private family-only view prior to cremation, memorial package, and use of our facilities during the week for a memorial service, celebration of life, or any other kind of gathering. This fee also includes availability to our grief counselor as needed. Weekend service charges, travel charges, or other charges may apply. This includes a basic service fee, local removal, refrigeration, cardboard cremation container, crematory fee, ceremony prior to cremation, and use of our facilities during the week. This fee also includes availability to our grief counselor as needed. Weekend service charges, travel charges, or other charges may apply. This includes a basic service fee, local removal, embalming, dressing and casketing, use of our facilities for service during the week, crematory fee, and memorial package. This fee also includes availability to our grief counselor as needed. Weekend service charges, travel charges, or other charges may apply. This includes a basic service fee, local removal, embalming, and transport to local medical school. This fee also includes availability to our grief counselor as needed. This includes a basic service fee, local removal, embalming, transport to local medical school, and use of facilities during the week for a memorial service, celebration of life, or any other gathering. This fee also includes availability to our grief counselor as needed. Weekend service charges, travel charges, or other charges may apply. This includes a basic service fee, local removal, refrigeration, shrouding, and transport to local green cemetery during the week. This fee also includes availability to our grief counselor as needed. Weekend service charges or other charges may apply. This includes a basic service fee, local removal, refrigeration, shrouding, transport to local green cemetery, and staffing for graveside service during the week. This fee also includes availability to our grief counselor as needed. Weekend service charges or other charges may apply. This includes a basic service fee, local removal, embalming, dressing and casketing, graveside funeral service during the week, transport to local cemetery, utility vehicle, and memorial package. This fee also includes availability to our grief counselor as needed. Weekend service charges or other charges may apply. This includes a basic service fee, local removal, refrigeration, transport to local cemetery, and graveside funeral service during the week, register book, Kriah ribbons, thank you notes, shiva candle, Jewish shroud, and Jewish holy earth. This fee also includes availability to our grief counselor as needed. Weekend charges or other charges may apply. This includes a basic service fee, local removal, embalming, dressing and casketing, visitation either evening prior to service or same day before service, funeral service during the week, committal service at graveside either prior to or following church or chapel service, transport to local cemetery, utility/lead vehicle, and memorial package. This fee also includes availability to our grief counselor as needed. Weekend service charges or other charges may apply. Before choosing a funeral home, ask “Is the funeral home independent, and locally owned and operated?” We are proud to be a family owned and operated funeral home. 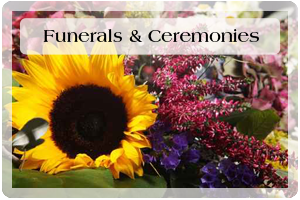 Established in 1926, we are third generation in the Family funeral service. 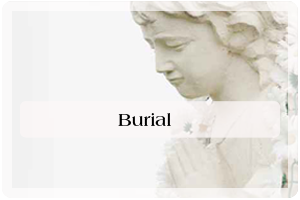 It is very important to choose a funeral home and a funeral director you have faith in. The time surrounding the death of a loved one is difficult, and the most important responsibility of any funeral director should be to have empathy, and make this difficult time a little easier and less stressful. Choosing a professional funeral director who handles every family and every request with compassion and understanding may be the most important decision a family has to make. If you are in immediate need or have a question please call us any time, any day and one of our representatives will be able to assist you.